For the first time Wednesday morning, President Barack Obama welcomed Pope Francis to the U.S. in front of a crowd of 15,000 who watched from the South Lawn and the Ellipse during a ceremony that is only used for world leaders and rare special events, according to the The New York Times. Obama deployed the full pageantry of the White House — complete with a marching band — to welcome Francis, who is expected to speak with the president privately later on about issues such as the U.S. opening to Cuba, which Francis helped negotiate, immigration, income inequality, and climate change, according to CNN. 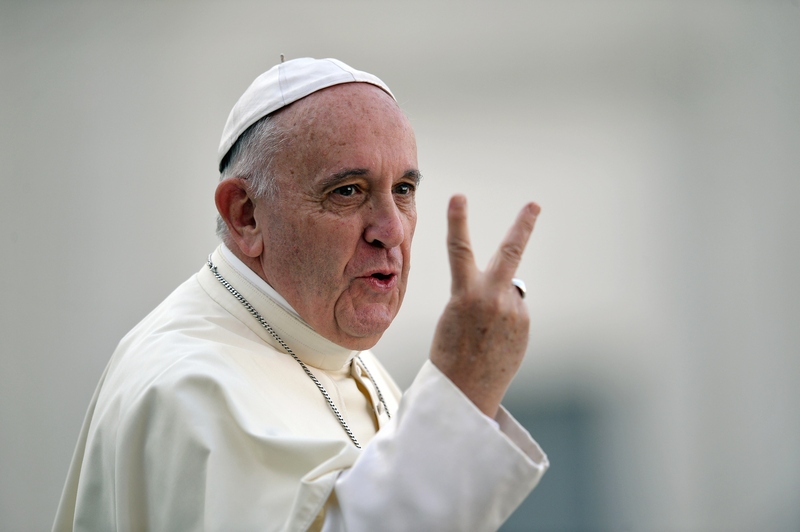 Francis will visit the U.S. from Tuesday, Sept. 22 to Sunday, Sept. 27. Your Holiness, in your words and deeds, you set a profound moral example. And in these gentle but firm reminders of our obligations to God and to one another, you are shaking us out of complacency. All of us may, at times, experience discomfort when we contemplate the distance between how we lead our daily lives and what we know to be true and right. But I believe such discomfort is a blessing, for it points to something better. It seems clear to me also that climate change is a problem that can no longer be left to a future generation. When it comes to the care of our common home, we are living at a critical moment of history. We still have time to make the change needed to bring about a sustainable and integral development, for we know that things can change. After the elaborate welcoming ceremony, Francis will board his popemobile under the cover of heavy security for a parade through the Ellipse, the ceremonial plaza south of the White House, and onto the National Mall. All of the pope's ticketed events in Washington D.C., New York City, and Philadelphia are sold out, but crowds can still gather for a first-come, first-served procession to and from the World Meeting of Families in Philadelphia. Pope Francis, who has earned the nickname "the people's pope," is one of the most-loved popes in history because of his progressive views on issues such as climate change and capitalism. During his visit, specifically, Francis will address Congress, meet with inmates in U.S. prisons, and eat dinner with the poor in D.C., according to USA Today. On his plane to Washington, though, Francis rejected the idea that he was a socialist and said he "may have given the impression of being a little more to the left, but it would not be a correct interpretation," according to CNN. "My doctrine ... this is the social doctrine of the Church. Nothing more, nothing less," he said.